What's the best way to generate more leads from your website? Contrary to popular opinion, the answer isn't to "get more website traffic." Although a comprehensive digital marketing strategy is key to driving appropriate traffic levels to your website, unless those visitors convert into leads, that's money down the drain. Before you spend more on search engine and digital advertising, focus on website conversion. Think about it: if you could double your website conversion rates, you could sell twice as many cars without spending another penny on advertising! Content: People buy from businesses they like and trust. Content allows you to own your branding and showcase your strengths. Does your website content give customers a reason to like and trust you? Does it clearly state your value proposition (why buy from you?) Or does it read like many other cookie-cutter dealership websites? Social Proof: This could be included under content, but it's so important it deserves its own category. Car shoppers want to know if you're trustworthy. The best way to do assure them you are is to litter your website with customer testimonials and plenty of quotes from (and links to) your online reviews. Phone Ups: Believe it or not, your phone number is one of the biggest lead generation tools on your website. Make sure your website vendor includes your phone number in large font on every page. Make it stand out. Even more important, make sure your internal phone-answering process is flawless. You're paying for every phone call, so have every call answered quickly, by a human being, and don't leave callers on hold or transfer them to voice mail. Chat: Does your chat window pop up the second a visitor lands on your website? Chat best practices include waiting a minute or two before approaching a visitor to see if they need help. Train your chat representatives to inform visitors about your latest offers, specials and incentives. They should also include URL links to other areas of your site to entice visitors to stay longer. Lead Forms: Think of all the technology advancements that have been incorporated into dealership websites in the last ten years. Now think of your lead forms. They haven't changed much, which is why they don't perform well. Customers are conditioned to ignore them and most forms ask for too much information. To increase lead form conversion, reduce the number of field forms required to no more than three. Also be sure your lead forms answer the "What's In It For Me?" (WIIFM) question. Don't expect your website visitors to hand over their email address for free; what will you give them in return? Offering free content, a coupon or an incentive of some kind will help increase conversion rates. Additionally, be sure your website vendor places all lead forms "above the fold" and incorporate borders, colors and other design elements to make them stand out. Mobile Website: Last but not least, if you don't have a mobile, responsive website by now, make this your first priority! More than 50 percent of car shoppers are using their mobile devices to view dealer websites, including inventory pages. If you're not mobile, this is probably the easiest and fastest way to double your website traffic AND conversion rates. According to Dataium's most recent benchmark study, the average number of monthly unique visitors to a dealership's website is 6,509. Of those, an average 1.7 percent submit a lead form. Combine that with an average half percent conversion rate for chat, along with phone calls and walk-ins (which are harder to track), and the average website conversion rate for most dealerships falls in the two to four percent range. 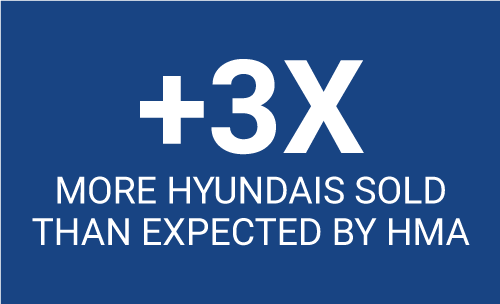 Yet, there are dealerships that are converting upwards of eight percent on a regular basis. That's DOUBLE the average. Dealers spend a lot of money on SEO/SEM, and the reason why is clear: more visitors = more leads. Yet SEO/SEM is just one part of the equation. An equally important factor in the equation is conversion rate optimization (CRO). For some reason, many dealers spend a tiny fraction of their SEO/SEM spend on CRO. Maybe because they believe CRO is the sole responsibility of their website provider, and there's not much they can do about it. This mistaken belief could be costing your dealership thousands of dollars every month. It is true that your website vendor can do a lot to increase conversion rates. It is also true that your dealership can do a lot to increase conversion rates. 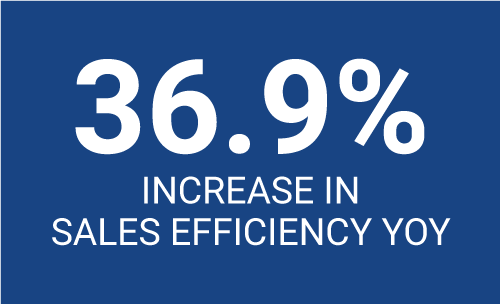 Dealerships with conversion rates higher than six percent aren't doing it by accident. They have taken ownership of their CRO. As a result, they are outperforming their competitors. How do they do this? Instead of playing the same old game, the progressive dealerships CHANGE THE GAME. You can say that your website provider is responsible for the design and technical elements of conversion but ultimately you are in control of your own destiny. · Creating a value proposition and unique differentiator; i.e. why buy from you? 1) Set your bar higher. Since when is it okay to be average? If your website conversion rate is in the "average" range of two to four percent, set a new goal. Aim to double that conversion rate to four or eight percent, or to double the amount of leads you get, in six months to a year. Announce the goal and try to get buy-in for the support you will need to get there. Then go after the goal with tenacity. 2) Expect more from your website provider. Tell your website provider your goal is to double your conversion rate and ask them for suggestions. After all, they may think you're happy with average conversion rates. Ask them to try A/B testing on different conversion elements such as your email submission forms, call to action buttons, headline styles and more. 3) Take ownership of your content. Sure, most website providers will write copy for your website, social media platforms and even your blog. But they don't know your business like you do. People buy from businesses they like and trust. Does your website and social messaging give customers a reason to like and trust you? Or does it look like many other cookie-cutter dealership websites? Before increasing the spend on your next SEM campaign, take a look at your website CRO. Is your dealership doing its part? Is your website provide doing theirs? Ultimately, the dealer is responsible for tracking and managing the CRO responsibilities of both parties. So set a new goal, aim high and you never know; this time next year your website conversion rate could be double what it is now.